In 1959, Nikon debuted its first flagship SLR camera, the Nikon F, and changed the face of photography forever. Since then, each new Nikon flagship model has echoed that spirit of innovation, that mastery of engineering, that unwavering commitment to making the impossible suddenly possible. To commemorate this extraordinary legacy, Nikon proudly presents the ultimate flagship camera, D5 100th Anniversary Edition. 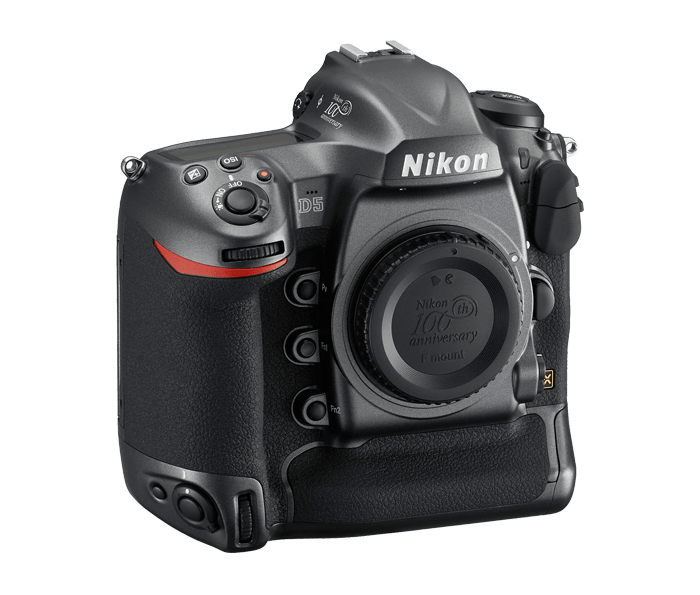 The award-winning full-frame D5 (dual XQD card slots) has been specially designed with a brilliant metallic gray finish and the Nikon 100th anniversary logo. For those looking to personalize this special product, Nikon will offer a personalized engraving service that will let owners truly make this camera their own. The camera is also accompanied by a premium Italian leather strap, an exclusive booklet celebrating Nikon's contribution to space projects and a metal travel case engraved with your camera's unique serial number. For those who rely on Nikon for their passion, their inspiration or even their livelihood, this is the gift of the century. The camera clock is powered by a separate, non-rechargeable CR1616 lithium battery with a life of about two years.